Since much of today’s lifestyle is dependent on your computer, both at home and at work, you need a Northern Kentucky computer repair & service company you can depend on. You know your business and we know computers (laptops, and PC’s). We’ve repaired -literally- thousands of faulty computers over the last 25 years. We have just about seen it all. And have repaired it all. 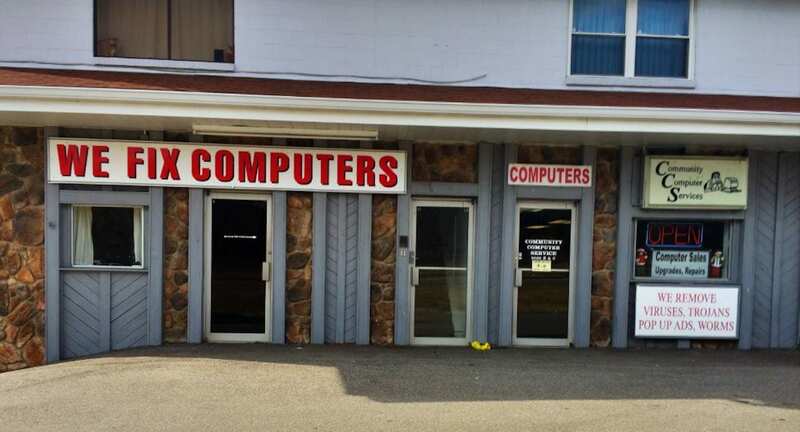 The next time your computer is glitchy, sick, has a virus or is just plain stubborn, call the computer experts at Community Computer Services where “Total Customer Satisfaction is not just lip service ….. It’s how we do business!" We offer the best Computer Repair in the Northern Kentucky Area. We are a father and son small business. Customer support is our main priority. Service Areas for on sight computer repair include the following. Alexandria KY, Cold Spring KY, Highland Heights KY, FT Thomas KY, Newport KY, Covington KY, Falmouth KY, Taylor Mill KY, Southgate KY, Silver Grove KY, Melbourne KY, Florence KY, Independence KY Most of Northern KY Area We are located in Alexandria Kentucky 8039 Alexandria Pike. 25 years experience. Family Owned.